Delaware agriculture is thriving thanks to farming, the state’s No. 1 industry with a worth of $8 billion. About 2,500 farms spread across 510,250 acres of farmland benefit from some natural advantages, like the state soil, Greenwich. The soil is classified as a “Prime Farmland Soil,” meaning it is one of the most productive soils in the state’s agriculture and forestry. Corn is the First State’s top crop, which grown over two-fifths of Delaware’s cultivated land. Broilers are the most valuable agricultural product, while apples are the leading fruit crop. Other important commodities include soybeans, wheat and dairy. 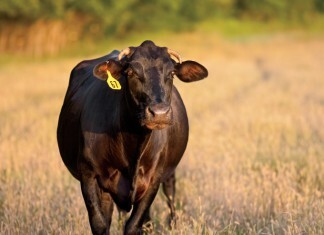 Texas beef industry is a major driver for the state's economy.